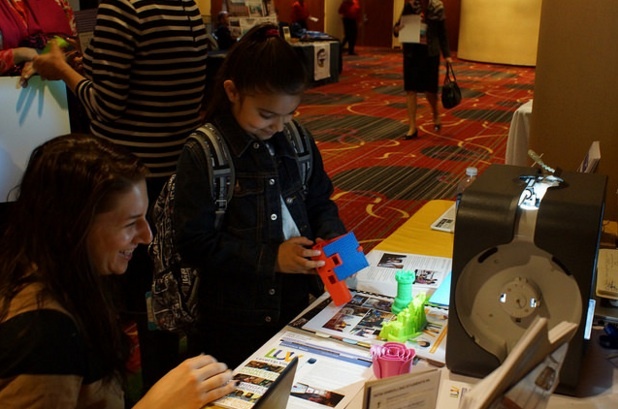 Children and educators alike were eager to learn more about LUV’s Global Inventors (3D printing) course and other offerings at the National Coalition of Girls Schools’ (NCGS) Global Forum 2016. Level Up Village was proud to participate in the National Coalition of Girls Schools’ (NCGS) Global Forum 2016 in New York City from February 7-9. 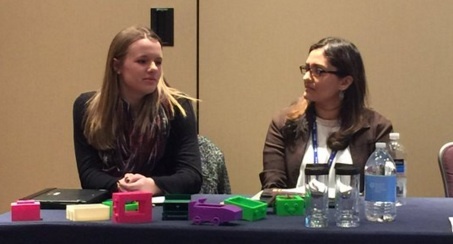 LUV Co-Founder Neesha Rahim spoke on a panel about the terrific global 3D printing collaboration that took place between St. Joseph’s and Ekalayva School in Bangalore in the fall of 2015 as part of LUV’s Global Inventors course. Rahim was joined by Claire Luikart, John Richardson and his daughter Grace from St. Joseph’s Academy. Highlights of the conference included Gloria Steinem who catalyzed the audience with her keynote address, asking educators to stand up to the ridicule and trivialization of feminism and continue to support gender equality. The next day, Arianna Huffington drove home the important message that girls don’t need to burn out in order to succeed. Gloria Steinem’s keynote was a great kickoff to the conference. 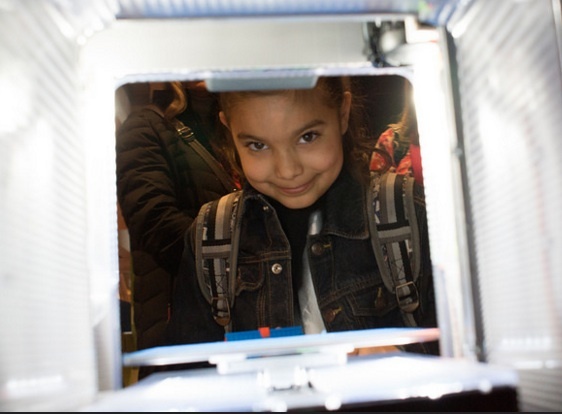 A steady stream of educators from girls schools around the world, and even a few children, visited the Level Up Village booth to catch some 3D printing in action and learn about LUV’s global STEAM programs and new offerings including Global Conversations: Malala Yousafzai. Checking out some 3D printed projects at the Level Up Village booth.